The Atlantic Refining Company, which had been owned by Standard Oil since 1874, greatly expanded its facilities in the 1880s. 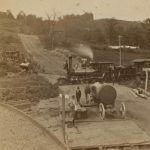 By 1891, 50 percent of the world’s illuminating fuel and 35 percent of all U.S. petroleum exports came from the 360-acre plant in Point Breeze that featured a navigable waterfront of 1.7 miles and 6 miles of private railroad track. 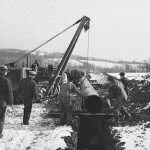 The facility was burning 350,000 tons of coal each year to refine 40,000 barrels of petroleum daily, emphasizing a connection between Philadelphia as a center of coal transport and as a petroleum hub. 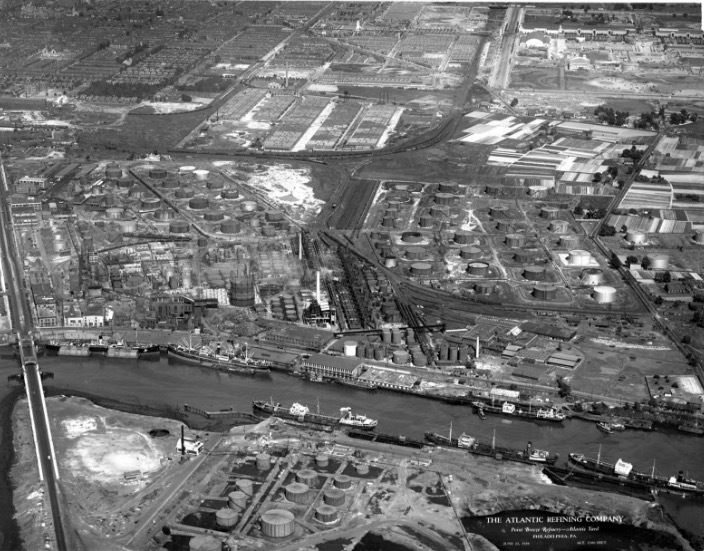 As of 1907, petroleum products exported by the Atlantic Refining Co. accounted for 22 percent of the city’s export trade and were valued at $23,647,194 in foreign gold (surpassing cotton, which held 2.5 percent). Point Breeze subsequently became the oldest continuously operating petroleum facility in the world. 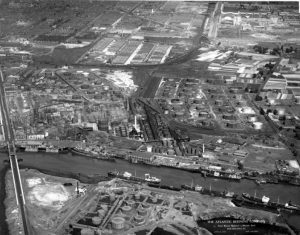 This photograph is one of several in a series taken by the Aero Service Corporation in 1926 showing aerial views of the Atlantic Refining Company. Posted by Melissa Callahan on June 22, 2016 at 12:30 pm. Bookmark the permalink. Follow any comments here with the RSS feed for this post. Trackbacks are closed, but you can post a comment.